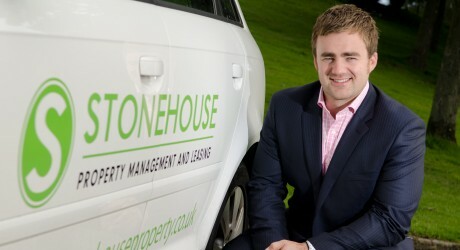 ROSS Murray has taken over as managing director of Stonehouse Property Management and Leasing. He succeeds Stonehouse’s founder, Lynne Watson, who has moved into the new role of marketing director. Ross joined Stonehouse in August 2010 as finance director and has put in place various new procedures which have led to the company reporting a particularly successful year. He said: “I joined from an accountancy and business development background and I’ve spent the last year getting to know the property leasing market. “Lynne has made a great success of Stonehouse but realised that bringing a new skillset into the business could take it to the next level. Stonehouse is now in a position to offer landlords and potential landlords advice about the type of property to buy and how best to buy it, as well as advising on tax matters. They can then furnish the property, find the ideal tenant and also provide a comprehensive maintenance service. Added Ross: “We have benefitted in the past year from the way the market has gone. More properties are available to rent because owners can’t sell them so they have brought them to the leasing market. MEDIA RELEASE posted by Granite PR. You too can post media releases (aka press releases) on allmediascotland.com. For more information, email here.